Thanks for stopping by the blog. 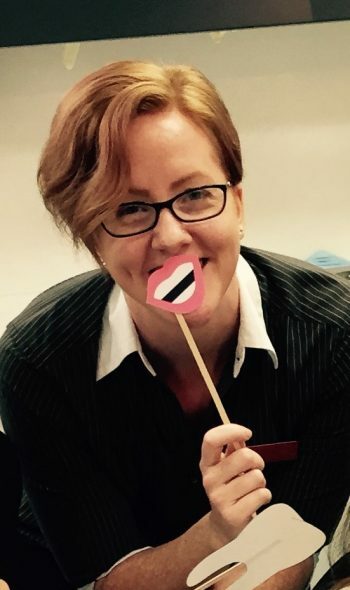 This month we have the pleasure of getting to know our resident Hygienist, Alison, a little better. We had a quick chat with her about travel, baking and what it’s like to work in orthodontics. What is your favourite spring/summer activity? I’m always up for an early morning Kayak in summer. The weather is perfect and at afterwards you can jump in for a refreshing swim. The furthest place I have travelled is Canada. The cold weather took some getting used to, but apart from that I absolutely loved it. Canada is a gorgeous place to visit. Nothing beats the mountains, rivers and lakes, and Niagara Falls is absolutely spectacular! Hawaii! It’s a natural beauty and I would never get bored of the hikes and snorkels. It’s a tie between Parks and Recreation and Community because they are both absolutely hilarious. I love to laugh. Could I choose two? Because I would want to fly but also have the power to be invisible. That would be pretty cool. It’s not exactly a meal, but I love cooking my famous triple choc muffins. I get to eat the left over chocolate, lick the bowl and eat the tester muffin straight out of the oven. Tavolino at Mascot. It’s a very unassuming little pizzeria near the station but it is 100% authentic Italian. Best arancini balls I have ever tasted. Everything on the menu is amazing! Name five items that were in your last grocery shop. I love how happy our patients are at each visit. It’s nice that we can have fun with our patients. My favourite part is removing braces/appliances because our patients always look gorgeous and happy and are always very appreciative of our work, as we are of theirs. It makes everything worthwhile. We have the best team at TOP! Everyone gets along, helps each other out and has a genuine interest in each other’s lives and wellbeing. We always get compliments from patients on how happy we always are and I am proud to work with so many awesome people.